It’s a beautiful thing when science meets Star Wars. A group of Taiwanese tech researchers at PVD+ have created an app for the Apple Watch that allows you to control a drone using your arm movements. Yes, the Force is strong with this Apple Watch. Reuters caught the motion-controlled drone in action. You can check it out in the video below. 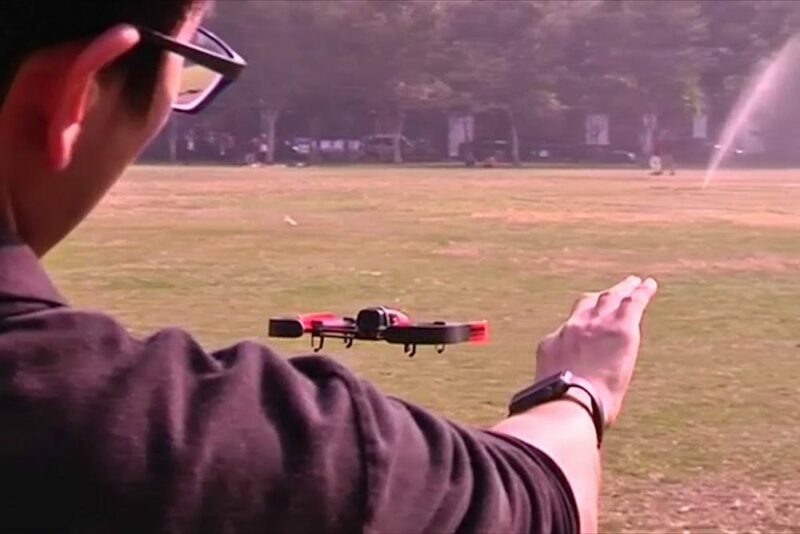 “Previously we’ve needed complicated controls to fly drones, but now we can use a wearable device, and through human behavior and gestures directly interact with them – using a hand to control and fly drones directly,” PVD+ founder Mark Ven told Reuters. But that’s not all. The researchers also channeled their inner Jedi to create an app that controls light levels and colors via hand movements, and a spherical robot resembling the adorably rolly BB-8 droid seen in Star Wars: The Force Awaken. “We can also control a ball, like that in Star Wars’ BB-8 droid, using a wearable device as well,” Ven said. PVD+ is calling the software Dong, and is working on securing a patent for it. Looks like it won’t be long before the line between science fiction and reality disappears completely. Is the watch 40k, 50k, 70k or 1 lakh?